I signed up early for this race so the cost was only $65! That is such a good price for the distance in this area. Not to mention, you get a great race premium. As with most races, the price does go up the closer you get to the race. One other thing that I want to point out about registering. I actually paid for this race in 2014. I was injured, sprained ankle, and could not run it last year. The race directors allowed me to defer to this year. When I had trouble with registering for the 2015 race, I e-mailed someone at Corrigan Sports Enterprises (CSE). They got back to me within 24 hours and helped me with all of my questions. They were more than gracious. This is a tricky one to write about because with this race there was not much of an expo. 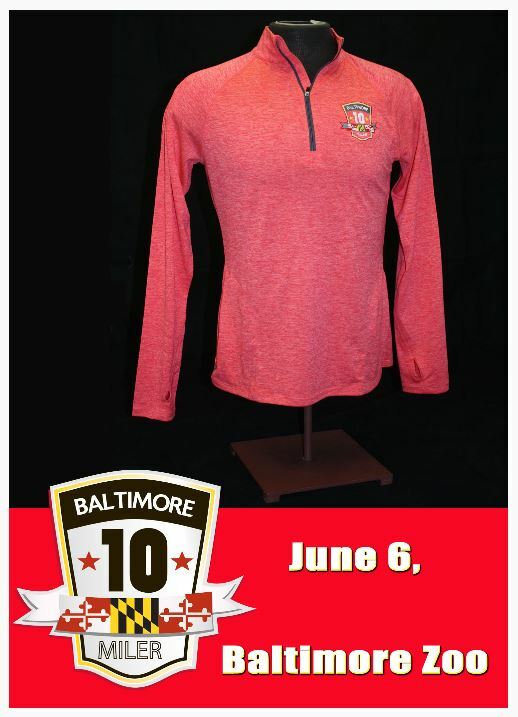 The bib pick-up was at Sports Authority stores around the Baltimore-DC area. While there to pick up your bib, they gave you a 20% coupon which you could use at the store. The great thing about this bib pick-up is that CSE made it really easy and convenient for everyone. They had six different days to pick-up on the week of the race. They were all afternoon-evening hours which is convenient for people who need to stop by during a lunch break or wait until after work to pick up their bib. They also had a different location to pick up from each day so that you could choose the day and place most convenient for you. Lastly, if you really could not make it to any of those days, you could sign up in advanced to pick your bib up the day of the race. 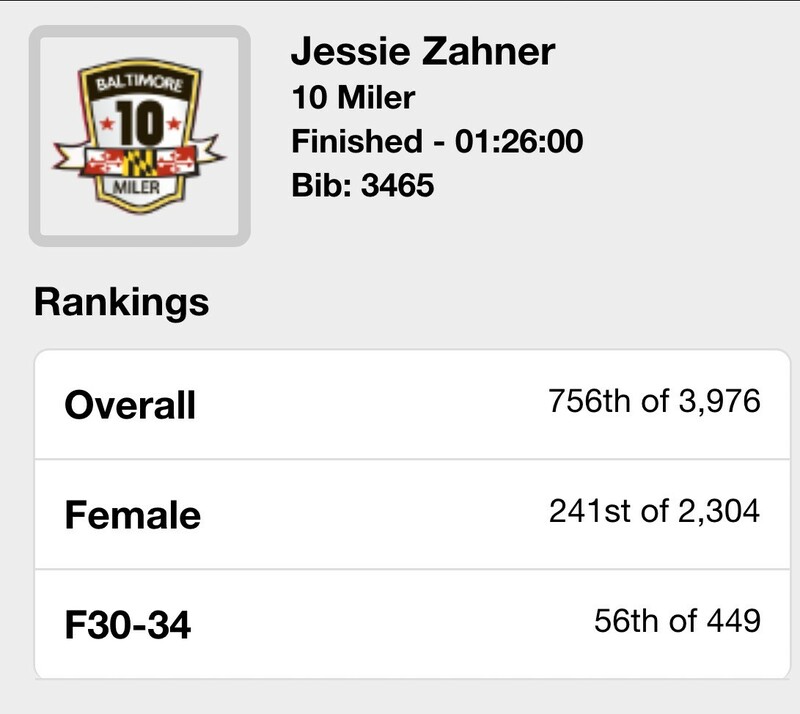 This race begins and ends near the Maryland Zoo in Druid Hill Park. The race starts out really nicely, all downhill. You run out of the park, through neighborhoods, around Lake Montebello, back through neighborhoods and then back to the start in Druid Hill Park. I hate to end on a negative because I do love this race. So I will end with the positives from the course. First, one great thing about this course is that there is no lack of water/Gatorade stops along the way. I really appreciate that as I am dehydrated for every single race I run. There are also bathrooms along the course! Yay! The participants of this race are great. There were about 5,500 people that ran. I am guessing a majority of people are from the area. They are friendly and fun. There are police officers that block the streets off for the runners and every time you pass one you can hear multiple people thanking the police. One of the most famous participants of this year’s Baltimore 10 Miler was Sid Busch. Sid is a man who runs marathons and other races in memory of our countries heroes. Did I mention, Sid carries an American flag with him the entire way?! (He is my hero!) The people at CSE love Sid and made that clear to us all. They announced Sid’s participation before the start of the race and it really got the crowd going! The race directors allowed Sid to start the race a minute before everyone else and when they sent him off, the participants and spectators at the start line were yelling and cheering for him. As you passed Sid throughout the race you could hear people clapping and cheering for him. Go Sid! Lastly, this race organizes pace groups so that you can meet or surpass your goal. Participants will run with pace markers so that you know where you will finish. I wanted to finish before an hour and thirty minutes so I started with that group and made sure that I finished before them. Thanks pacers! The spectators in this race were wonderful. Hearing things like, ‘Y’all are my hero’s,” along the race course really keeps you going, and laughing, which helps. The only reason that I gave the spectators a B+ is because the race was not filled with them. There were areas along the way where there were no spectators, and I can understand that as we were not running in the busiest areas in town. The spectators along the course in the less populated area’s holding up signs that said, “Y’all are f***ing awesome,” kept me going! The finish line was amazing. The finish was filled with people yelling and screaming. I was tired and wanted to finish the race as soon as possible. I didn’t think I had it in me to sprint. The crowd noise at the end really picked me up and I flew past that finish line! Thank you to all of the spectators that came out to support the runners! The finish was absolutely amazing. Best part of the race! (In my mind, it always is!) The finish was packed with spectators cheering and clapping as you are coming down the last stretch. There was someone on a microphone who was calling out people’s names and congratulating them as they crossed the finish line. Right at the finish line they had medics in place, ready for anyone who was not feeling well or who was injured. The medics were so on top of their game here that when I just needed to stop to catch my breath, they came over to make sure I was ok. I was fine! It was nice to see they were ready and willing to help people out! A short walk past the finish line and you were given a wash cloth that was soaking in ice cold water. This was a nice touch because it was really hot out. After you get done putting the wash cloth on your neck, you are lead to FOOD AND WATER! This was awesome. CSE had bottles of water for everyone, cups of Gatorade, PowerBars, chips in all types of flavors, banana’s, oranges, and my favorite, watermelon! Thank you CSE for thinking of EVERYTHING! The food and drinks were much needed after this run! Once out of the food and drink area you were lead to a big plot of grass in the middle of the park. CSE really knows how to throw an after party! Here you could get two free beers with your race bib, they have a band playing, they have interesting dyno-jump-ish activities. They also have a bunch of different places that you can go to get samples of things, they have places to shop for gear and finally they have tents where you can pick up your race premium! This race is a really great one if you are looking to break into the longer distance races. 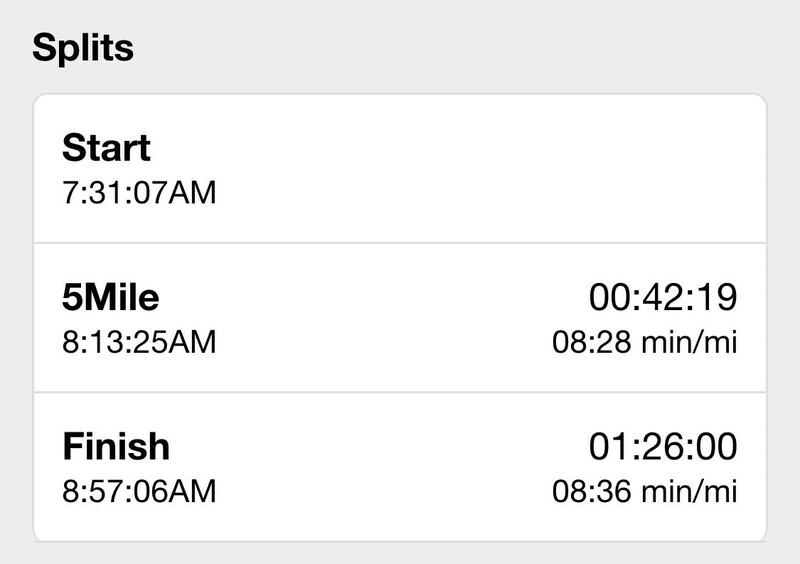 It is easy to get to, even on race day, even with everyone driving to the same place at the same time. CSE has people that are directing traffic and helping with parking. They have plenty of parking! This race has running tracking. Most races now do but I still love that factor. You could have up to three phone numbers track you, you could also have your times posted on your Facebook or Twitter accounts. You were also able to view your results on the main webpage.